Fig. 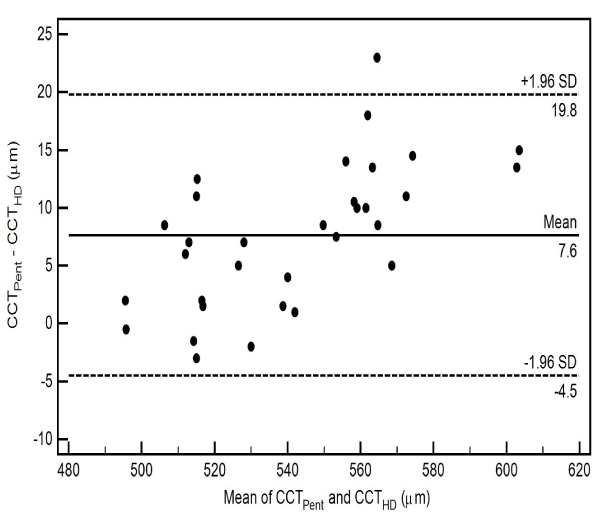 (5) Bland-Altman plot comparing CCTPent and CCTHD. Mean value, lower and upper limits of agreement are indicated. The mean difference is represented by the solid line and the 95% confidence limits by the dotted lines.